Looking for a flagship-grade handset with a practical price standpoint? 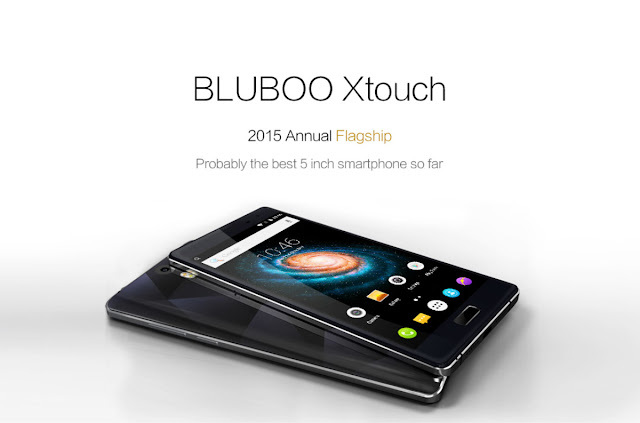 Get the Bluboo Xtouch for USD 149.99 online! Looking for a flagship-grade handset with a practical price standpoint? Look no further, international online seller, Gearbest, has the best deal for you this week. It offers the latest premium-made BluBoo XTouch for just USD 149.99 today. The Bluboo Xtouch comes with a stunning unibody design with a combination of metal and glass surface. The company also boasts that the device is constructed in the same nano molding and CNC process as the iPhone 6. This gives the handset a 5.5-millimeter visual thickness. The Bluboo Xtouch's front panel features the 5-inch full HD display that frames 441 ppi pixel density. The panel is also treated with a Gorilla Glass 3 protection. The 2.5D curved glass appeal is also highlighted for continuous swiping. In its heart ticks the MediaTek MT6753 which features 64-bit octa-core processor and Mali T720 GPU for graphics rendering. Likewise, the handset also offers a generous amount of 3GB RAM for faster app launching and multitasking activities. Across the board, you'll get a 32GB native storage which could be expanded up to 64GB. For the camera buffs, Bluboo enforces a 13MP rear and 8MP front sensor. The former comes with an LED flash. It is also worth noting that the Xtouch packs a fingerprint sensor which is becoming a standard for flagship handsets nowadays. This smartphone includes 4G LTE connectivity on the get-go and Android 5.1 Lollipop to run the whole show. Likewise, it is also powered by a juicy 3050 mAh battery for longer mileage. Every Wednesday, Gearbest is dropping the Bluboo Xtouch's price to 149.99 from 179.99 via its in-house flash sale.